D&J China, a business park developer backed by US private equity giant Warburg Pincus, has launched a new China real estate fund with an initial capitalisation of RMB 10 billion ($1.45 billion). 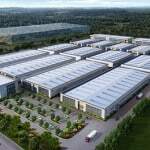 The two and a half-year-old developer has established the D&J Zhiyan Equity Investment Fund in partnership with AVIC Trust to invest in industrial infrastructure including business parks, R&D parks and production facilities, according to a joint statement from D&J, Warburg Pincus and AVIC Trust. “Driven by a strong trend for industrial upgrade, continued urbanization and rise of the knowledge economy, the fund will invest in quality assets and provide modern infrastructure services for corporates and manufacturers across the entire industry value chain,” said Sun Dongping, chairman of D&J China. Sun, who along with Jeffrey Shen co-founded logistics developer e-Shang with Warburg Pincus, also joined with the private equity firm to set up D&J. Where e-Shang, which is now part of e-Shang Redwood, focuses on logistics space, D&J initially concentrated on manufacturing and R&D facilities, and has since begun to lean towards suburban business parks. In April this year Warburg Pincus paid an undisclosed sum for a 40 percent stake in Shanghai-based Kailong Real Estate Investment through D&J. Kailong holds an extensive portfolio of business parks around Shanghai, as well as having recently renovated and sold a commercial building near the city’s People’s Square. The investment fund, which the three parties say will primarily target integrated industrial parks in first-tier and select tier-1.5 cities in China, is the latest in a series of investment tie-ups between Warburg Pincus and AVIC Trust. The mainland financial institution joined the US private equity manager in backing a management buyout of ARA Asset Management that could value the Singapore-based firm at $1.3 billion. “The new fund brings together professional capital market capabilities and industrial park operations and development expertise,” commented Yao Jiangtao, chairman of AVIC Trust. The institution, which was co-founded with Singapore’s OCBC Bank currently has assets under management of over RMB 430 billion. The fund with AVIC Trust follows two earlier rounds of investment by D&J’s founders into the industrial developer. In February of this year Sun and Warburg Pincus committed $220 million to D&J in a B round of financing. The company’s original $200 million capitalisation was completed in 2014. D&J currently has over 1.2 million square meters of properties in operation and under development in Beijing, Shanghai, Nanjing and other cities in China. Among the company’s tenants are such Fortune 500 multinationals as Shell, Abbott and FMC, as well as high-tech, knowledge economy companies including Asiainfo and iSoftStone. The developer has set a goal of growing its assets to over five million square meters in the next three to five years with a target of total asset value of RMB45 billion by 2020, according to a company statement.